I don't Facebook. I don't Tumblr, Periscope, Pinterest or whatever. Twitter has been [mostly] replaced by Instagram. I post wildlife images to Instagram and it is my primary social media presence. I also have become active at iNaturalist.org. 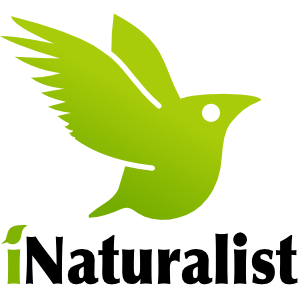 iNaturalist is a community where you can post images of wildlife you have observed for identification and to record where species are sighted. If you know what your photo depicts you can get confirmation and share info with the community. I use it as a database to record all the wildlife I encounter along with GPS coordinates & image(s). I can get my ID confirmed or corrected and verify the posts of others. It also is a great place to find localities where a species of interest has been observed. Some members do not share exact GPS data, but I do. The "social media" aspect of iNaturalist is that you create a profile and you can follow other members (observers) and projects. I also have it set up to give me a daily report of observations of the wildlife families or regions that interest me. The (almost) no nonsense social medium. It is a superb fit for photographers as I mostly share mine and brighten my day with wildlife & other images by others. A picture is truly worth a thousand words. My Insta posts are almost exclusively wildlife portrait photographs, and I instead use the Insta story to share snapshots from my day. So just follow my feed to see the creatures I encounter, or also view my story to see scenery, people, travel, food, drink and lifestyle snaps. I disabled my @exoticfauna Twitter when I switched to Instagram. I have a newer @jacobipix account, but I have very few followers and I rarely post. I use it more to view other feeds. If you are a tweeter give me a follow and I'll follow you back. The more traffic the more I'll post.